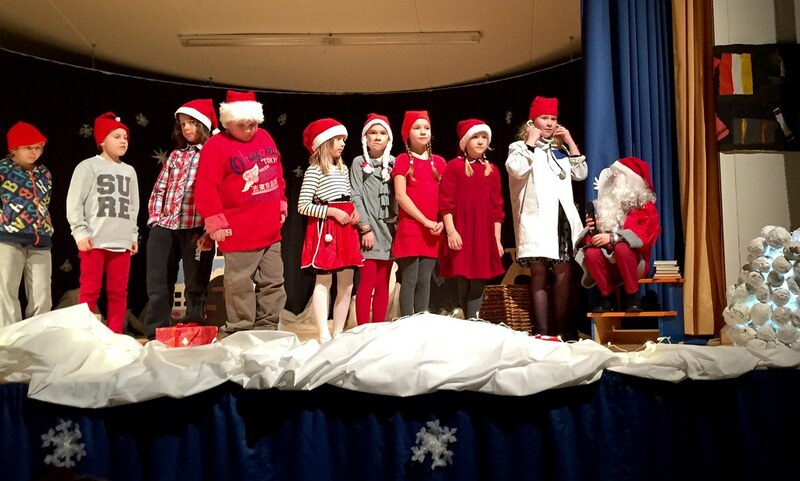 Yesterday evening we enjoyed superb Christmas party with many plays and music at Kaapo’s school. It is so nice that his school still has these traditional happenings with lots of parents and other spectators. There is always a nice buffet before the plays and music starts. Many schools in Finland nowadays do not have these evening parties anymore. That really is a pity. 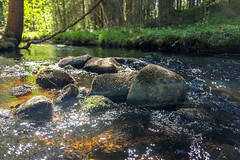 Hymypoika, originally uploaded by Jonne Naarala. Kaapo got Hymypoika (“Smiling boy”) statue from school today. This statue is awarded by other students of the school. The statue will be given to a student who forwards good will, is happy, helpful, and honest friend. One boy and one girl studying in grades 1-3 will be awarded annually. I am so very proud of him. Kaapo with classmates, originally uploaded by Jonne Naarala. Oh my, it is so hard to believe how fast the time flies! After summer he will be going to the second grade. And just few moments ago he was a small baby – at least I feel so. He has been very good in his schoolwork for which I am very proud of. And he has got lots of new friends that is also a fantastic thing. I hope that at least some of those friendships will last all of his life. That would be a real treasure.